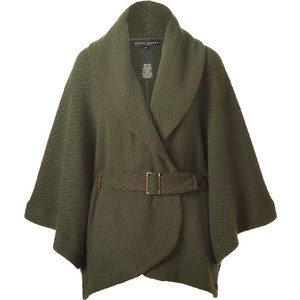 This olive Ralph Lauren wrap cardigan. Cape-like. Shaw collar. Butterfly sleeves. Cinched belt.